Here we see an image of Momoko™ (the doll from the Sekiguchi company) wearing the lovely blue and gold gown from yesterday’s photo of the four-poster bed. Momoko appears to be feeding a Breyer™ horse or touching its muzzle. I cast Momoko as Juliet in my dolling version of Romeo and Juliet, which is still in production. 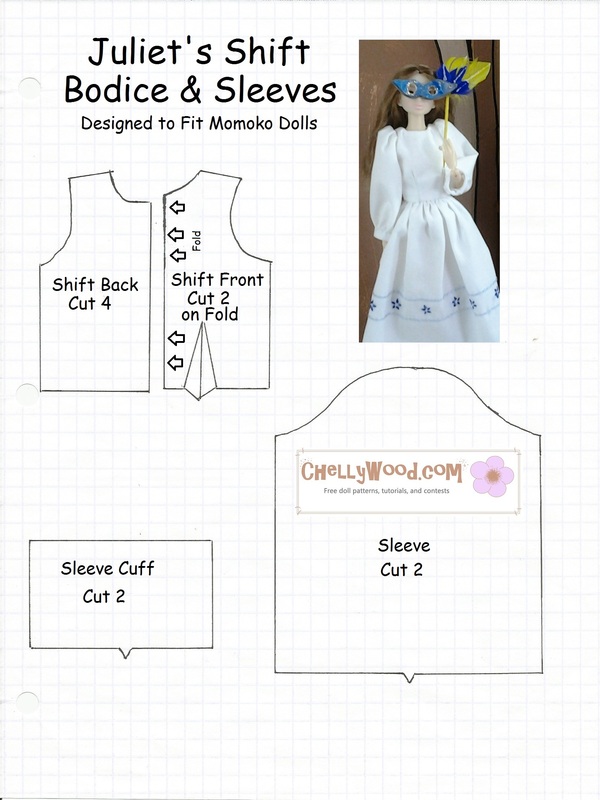 Of course I designed the dress Momoko™ wears in this image, and I’ve shared those free patterns and tutorials with you below. You may not realize that Momoko™ doll clothes can also be worn by Pullip™ and Blythe™ dolls, but I’m told they can. So if you collect any of these three dolls, you should be excited to see the free patterns and tutorials I have in store for you. 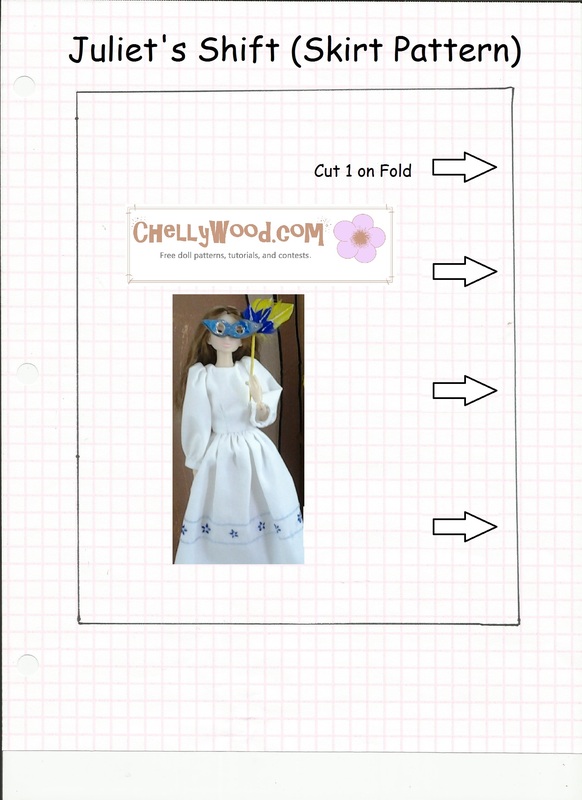 Granted the veil probably won’t fit Pullip™ or Blythe™ dolls, but it’s always neat to find free, printable doll clothes patterns that will fit any doll! I would venture to guess there are even some BJD’s (ball jointed dolls) who can wear this dress pattern. 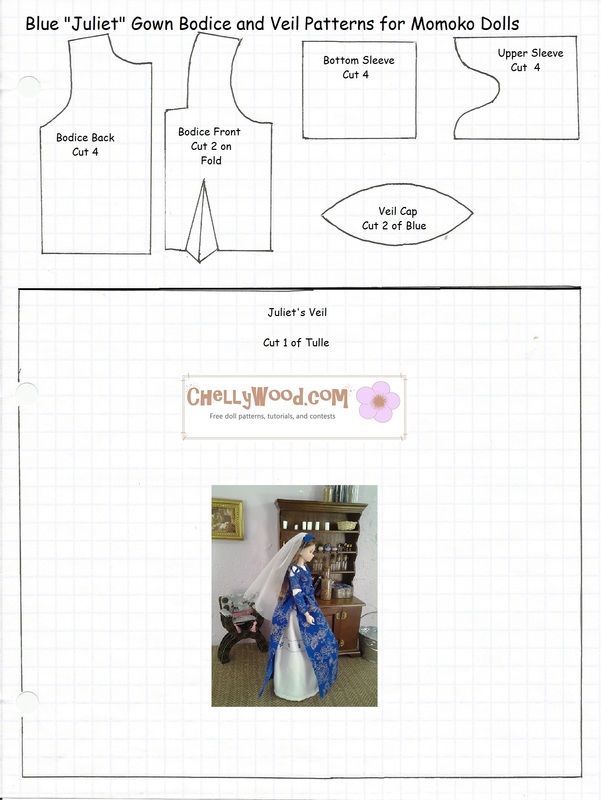 Tutorial for Making Doll Shoes/Flats to Fit Liv Dolls, Momoko, Blythe, Skipper, Pullip, etc. Your Blog is amazing! 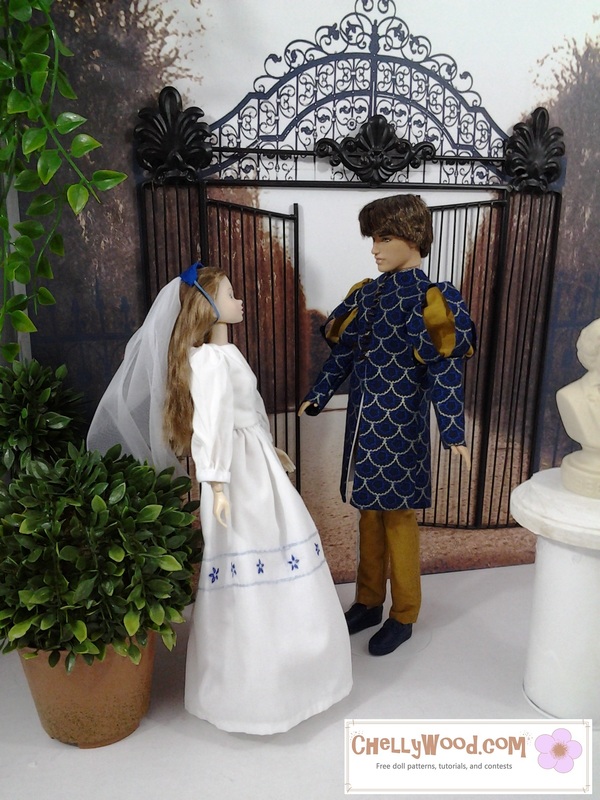 :) I love the clothes you sew for your dolls (especially the Shakespearian ones) And I can’t wait to see your Romeo & Juliet stop motion, it looks amazing so far. Thanks Quinkley. If you are, indeed, an elf, you’re going to enjoy seeing my stop-motion short of the North Pole elves. It’s coming soon!